Some of the Evidence to prove Domestic Violence are Any email, WhatsApp conversations which depict bitter relations or bad treatment from the husband. If there is any physical abuse, then the Medico-Legal Certificate (MLC) can be used. You can also obtain a requisition letter by filing an NC at the police station. The eyewitness might be difficult in this case but can have someone to witness in the court for any physical harassment. Any Audio or Video recording which shows that you are being suffered. If you could prove occasions before the Magistrate of Domestic Abuse through Recorded messages/proof of marks/recorded video proof containing violence will be enough to make a case of Domestic Abuse. Indian Penal Code 498A is the criminal law passed by the Indian Parliament in 1983, which is defined as follows: Whoever, being the husband or the relative of the husband of a lady, subjects such women to cruelty shall be punished with imprisonment for a term which may extend to three years and shall also is liable to fine. The offense is Cognizable, non-bailable and non-compoundable. 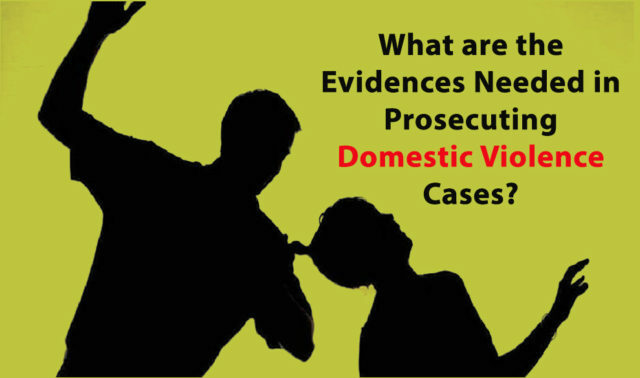 Protection of Women from Domestic Violence Act is an act to offer a more effective defense of women rights guaranteed under the Indian Constitution who are sufferers of violence of any kinds in the family and for matters connected with or incidental thereto. Verbal and emotional abuse is hard to prove because it does not leave any physical evidence. You can write diaries, or documenting everything, try to record the abuses, get the people who can testify as witnesses for you, Go for counseling, you can share details with the counselor. They will document it, and it will be useful for you at the time of trial.